Getting immunised regularly for children and adults is important to protect oneself from preventable diseases. It provides a pathway for strong health care at the beginning of life, and offers a healthy and risk-free life to every child. To celebrate World Immunisation Week #worldimmunizationweek from 24th April to 30th in April, CCDT’s Urban Nutrition Initiative (UNI) program, organised Mata Melava to talk about the importance of immunisation and the various myths surrounded around vaccinations. According to the World Health Organisation (WHO), this year’s theme — ‘Protected Together, #VaccinesWork’ encourages individuals to increase their efforts to ensure all children are immunised. Immunisation is the process by which a person is made immune or resistant to an infectious disease through the use of a vaccine. It stimulates the body’s own immune system to protect the person against subsequent infection or any kind of disease. During Mata Melava, the UNI team shared information related to a immunisation schedule for infants, and the importance of the 1,000-days approach. With an interactive audio-video medium the team engaged mothers and educated them about the importance of the first 1,000 days of their baby’s life. A short film by UNICEF was screened to promote timely immunisation and its importance. Nutrition during a woman’s pregnancy, and in the first year of a child’s life provides the essential building blocks for brain development, healthy growth, and a strong immune system. To explain in detail the importance of 1,000 days, the UNI team narrated the life cycle of a mother- the impact of poor nutrition for a baby has lasting effects that can transcend into generations to come. This is seen throughout the world as malnourished women giving birth to malnourished daughters who grow up to become malnourished mothers themselves, thereby perpetuating the cycle. “I was unaware about the consequences of not getting my child immunized. However, when you explained through the chart about that various diseases, and how they can be prevented through immunization. I am considering it very seriously,” says a participant. 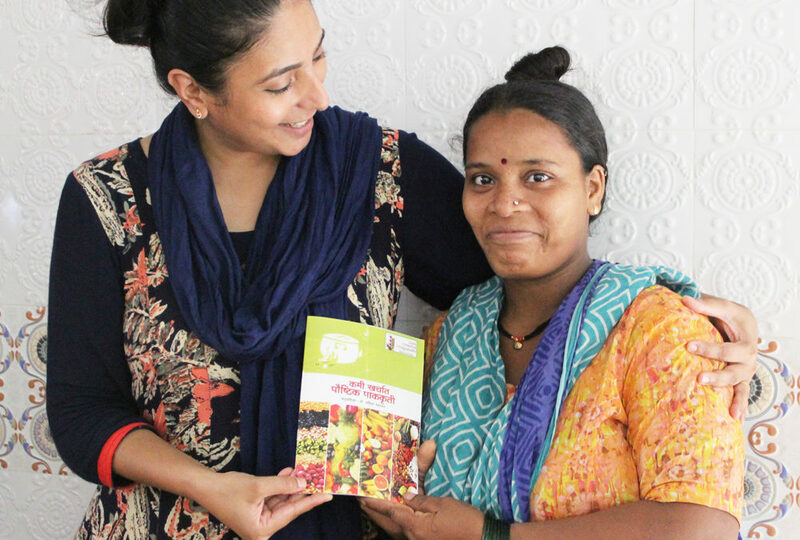 At the end of Melava, to promote healthy living and nutritious eating for children, the UNI team distributed a recipe book with low-cost and simple recipes to all attendees.